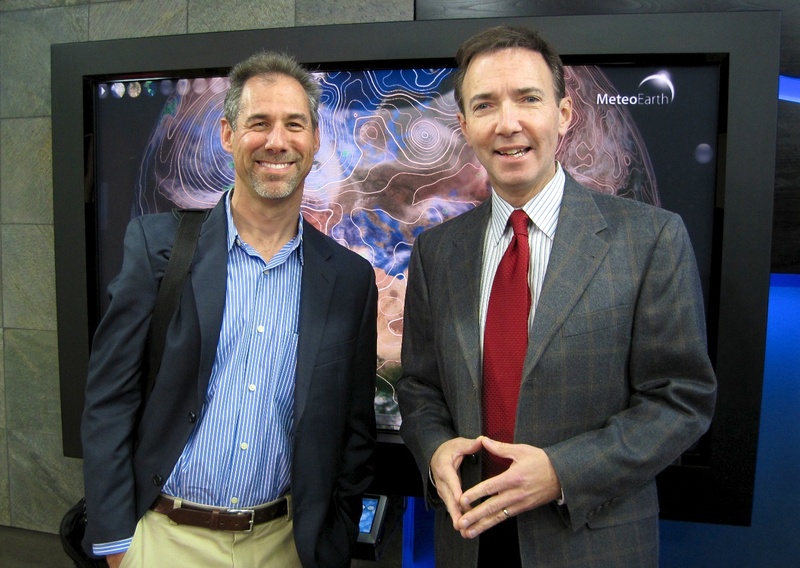 TMP would like to take this opportunity to thank Paul Douglas, Star Tribune weather columnist and CEO/Chief Meterologist for WeatherNation, for providing a glimpse into the future of weather forecasting and weather communication. If you're a weather consumer -- and who isn't? -- great things are ahead. Paul suggests we're at the cusp of major changes in the way weather is delivered. He sees increased personalization and greater use of multi-media (video, social media, interactive, etc.). More and more, weather information will come to you in an increasingly efficient, relevant way. Some day, Paul suggests, the weather for your 10 a.m. tee time on Friday will be plopped directly into your personal calendar. Amazing stuff... and we hope to share more in a future post. Many thanks for taking the time to talk with us, Paul! Bill - great photo. Paul has a pretty savvy business mind. That was nice of him to invite you to his site. Hopefully you can still grade him objectively - just kidding. Thanks for sharing.